Hi readers, a long time after my last post, received many mails in these two days asking me to post about pharma documentation relating to engineering, i donno whats the reason behind these requests, anyway i'm happy of receiving and i'll share my little knowledge regarding batch failure analysis. 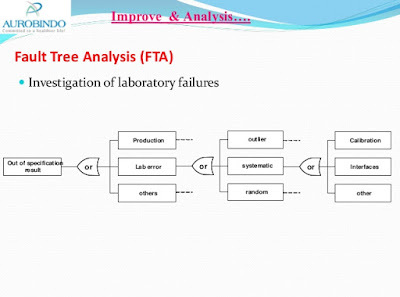 The Fault Tree Analysis tool is an approach that assumes failure of the functionality of a product or process. This tool evaluates system (or sub-system) failures one at a time but can combine multiple causes of failure by identifying causal chains. The results are represented pictorially in the form of a tree of fault modes. At each level in the tree, combinations of fault modes are described with logical operators (AND, OR, etc.). FTA relies on the experts’ process understanding to identify causal factors. FTA can be used to establish the pathway to the root cause of the failure. FTA can be used to investigate complaints or deviations in order to fully understand their root cause and to ensure that intended improvements will fully resolve the issue and not lead to other issues (i.e. solve one problem yet cause a different problem). 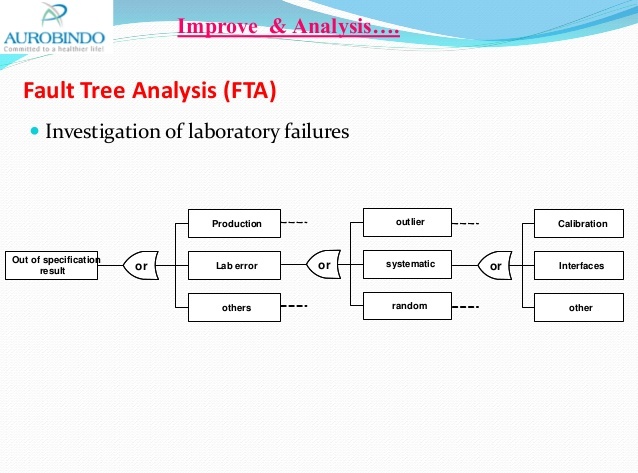 Fault Tree Analysis is an effective tool for evaluating how multiple factors affect a given issue. The output of an FTA includes a visual representation of failure modes. It is useful both for risk assessment and in developing monitoring programs. Really your work helps.Proud to see a Indian website with so much details. I would like to see entire excel sheet for calculations of Product cost, with a fictional process having, Hytherm oil heating, steam heating for distillation, power consumption for pumps and agitators,nitrogen consumption for inertisation, air consumption for control valves, labour cost calculations,Cooling tower and chilled water power consumption calculations, Raw water calculations for process, steam, cleaning and cooling tower blow down.I know i am asking for a big thing.